More than a year ago, five-star hotel, the Anantara Siam, with its gilded murals and landscaped courtyards, cost $150 a night, including a royal breakfast buffet. Even the most expensive souvenir in town, an elephant figurine with inlaid mother of pearl, cost less than a typical outing to McDonald’s in New York. However, according to a visualization of recent UNWTO data, Thailand outranks every other nation in Asia when it comes to tourism spend. Last year, Thailand collected $57 billion in international tourism receipts, nearly doubling Macao ($36 billion), Japan ($34 billion), Hong Kong ($33 billion), and China ($33 billion). 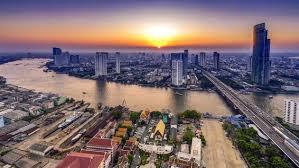 Globally, the only countries that out-earn Thailand in terms of tourism dollars are France ($61 billion), Spain ($68 billion), and the United States, taking the gold medal, at $211 billion. Foreign arrivals could hit 40 million next year, which is more than half the country’s population. MasterCard’s annual Global Destination Cities Index recently ranked Bangkok as the most-visited city in 2017 for the third year in a row. The study indicates that travellers shell out $173 for a day in the Thai capital, compared to $537 in Dubai or $286 in Singapore. This year, it forecasts travellers will spend an additional 14 per cent.